more: Best of 25 Years Recruiting now!!! The best offer yet in the 25th year of celebration with Stampin'Up! Have you been waiting to join at an affordable price? Here it is... no more excuses and WOW!!!! What a deal this is... check it out and don't let this deal pass! I'm so thrilled that I have decided to make this event even sweeter!! Classes will be filled with stamping techniques, paper crafting, how to use tools and lots more, but most of all how to be part of a wonderful experience with the most awesome company in the world!! The classes will be FREE to all recruits and will be held once a month approximately. * Exceptions may apply from time to time and the classes will begin right away with a Holiday extravaganza in October! Come join me and make this happen... I will begin a countdown starting on October 7th. Whether you decide to join for the 25 sessions free, for the hobby of it or forever (like me).... contact me right away and be among the special 25 recruits to enjoy and relish in this experience. WOO HOO!! I'm so excited!! 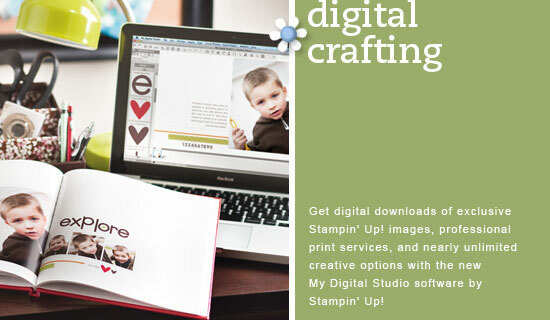 Note: this extra offer is in no way related to or offered by Stampin'Up! itself, but a separate promotion that I am running concurrently for the fun of crafting and sharing.